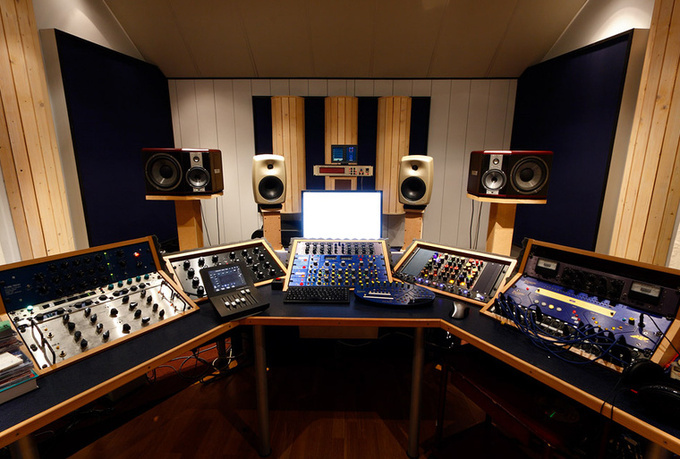 Mastering is a critical, final step in the recording and mixing process. Mastering can bring out the best in your mixes by balancing out frequencies, helping your mixes translate well on all listening environments, enhancing the overall energy of a track, bringing continuity to all the tracks on an album or EP, and also bringing up the loudness to commercially acceptable levels. Just so we’re clear. Mastering can’t make a bad mix sound great. It just can’t. If the mix is bad, so will the master be. Sorry to break it to you. All that being said, proper mastering can help make just about any mix sound the best that it possibly can. Your mastered tracks should sound just like your mixes, only better! I offer a simple per song flat rate approach to mastering rates. Every project is different with a different number of songs. With this per song rate you don’t over pay for having a “shorter” EP or album. You only pay for the songs you have. It couldn’t be easier. When you’re all done mixing your lastest song or project, send it my way and let me put that final coat of polish on it. I’ll do as much or as little as I have to in order to take that mix to the next level. To give you an idea of what I can typically do in the mastering phase, I’ve pulled a “before” and “after” example. Listen to the two versions below (of the same song of course). The first versions is the original mix with just a limiter on it. It sounds fine. The second version is after I’ve taken it through a typical mastering session involving anything from EQ, multiband compression, saturation, to stereo widening. Specifically listen to the bottom end (kick and bass) sounding a bit fuller, the snare drum a little fatter, the width of the instruments, and a little more clarity to the high end. FYI, listen on headphones to really hear the nuances of the mastered version.